As a part of understanding all our clients and their wide range of needs, we did a persona exercise. One of the things that came to light was that many of our clients are facing problems in expanding beyond their present location. Specifically, how can I, a business located in Bangalore or other parts of Karnataka, expand to cities in Tamil Nadu and Kerala, or to other metro cities like Mumbai, Chennai and Hyderabad? If you are also thinking about this, explained below are the top 5 ways for expanding your business without leaving home. Join Yomillio now! Curated sales leads in your inbox. Direct introductions to matching partners and distributors. How Yomillio will help you expand your business to new cities – Case Study: Doner Kebab Factory, located in Banjara Hills, Hyderabad, had listed their buy requirement for high-end commercial kitchen equipment, along with a specific request for hands-on training. Team Yomillio connected this member to an authentic Turkish restaurant from Bangalore, as well as two other members from Chennai and Mumbai. Doner Kebab Factory selected Bangalore’s Otanik Restaurant, and have already placed their order to procure the kitchen equipment through a Turkish seller chosen by Otanik. A live demo of the equipment and food tasting was hosted for the buyer by the Turkish chef at Otanik. The logistics of procuring the equipment was handled by Adorn Logistics, again a Bangalore-based Yomillio Partner introduced by us to Doner Kebab Factory. Team Yomillio was in this way able to help two of our Bangalore-based members get a customer in Hyderabad. Social Networking – Yomillio facilitates social networking on it’s platform, and also hosts ADDAs that you can attend for in-person networking. You can meet high-profile business partners, vendors and distributors from all over India through Yomillio’s online platform and events. In addition to this, you can also use other B2B networking platforms such as LinkedIn. Business Centre Networking – The problem with networking is that you have to leave your office, factory or shop to go around and meet people. But you don’t have to change your daily schedule to do all this networking if you are located in a Business Centre or coworking space. For example, Yomillio’s offices are located in the Evoma Business Centre in Bangalore. We get a large number of new members, Partners and other service providers within Evoma itself, without even having to go and look for them. You can meet potential business partners from a wide range of industries right next door, in the lobby, cafe or even in the parking lot. Many of them have branches in other cities, and have been instrumental in helping us expand to other cities in India. Ecommerce – The easiest and fastest way for expanding your business without leaving home is ecommerce. If you don’t have an ecommerce website, now would be a good time to do it. All you have to do is set up an online shopfront in your website and/or on ecommerce portals such as eBay, Amazon, Flipkart, Snapdeal, etc. Once you are able to take orders and payments online from customers, it really doesn’t matter where they are located. You can expand to Tamil Nadu, Taiwan or Texas – you don’t have to go that extra mile. Customers from Texas will come to your website and pay you while you are sleeping. Want to set up an ecommerce website? Contact us now. Yomillio members include website developers, designers and digital marketing agencies who can build your website, enable ecommerce transactions, and help your reach targeted customers in Tamil Nadu, Kerala, Mumbai, Chennai, and any city in India or anywhere else in the world. Dropshipping – Dropshippers are businesses or entrepreneurs who will take orders from customers, but the delivery of goods is done by the manufacturer directly to the customer. In other words, the dropshipper will forward details of the customer’s order to you. You can then send the goods directly to the customer, but with branding that says the product is from the Dropshipper. eg: Consider the case of the Yomillio case study mentioned above. Doner Kebab orders kitchen equipment from Otanik Restaurant. Assume for a second that Otanik is a dropshipper, and they forward the order to the equipment manufacturer in Turkey. This manufacturer then sends the equipment directly to Doner with branding and labels that say the equipment seller is Otanik. This drop shipping arrangement is suitable for new businesses who want to expand quickly, but do not have access to an established distributor or wholesaler network who will sell your branded goods. 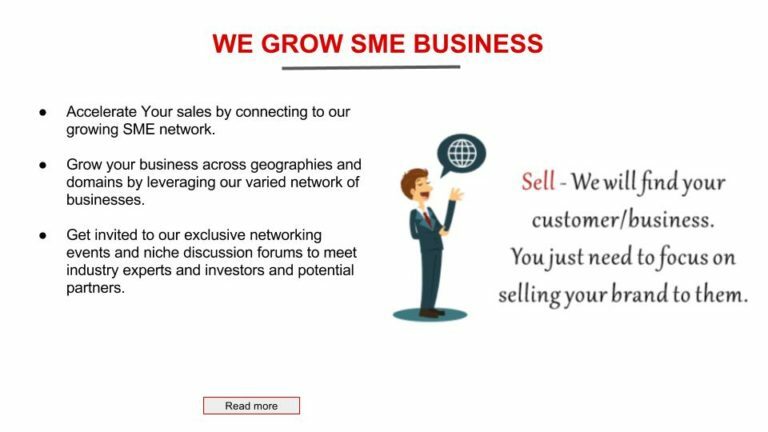 In fact, if you want, we can help you build a network of distributors and wholesalers across India. Join Yomillio now – Free trial! Direct introductions to matched partners and distributors.